Luke Citrine's grandfather is dying...and he and his family have come to the farm to help his grandmother and to keep vigil. Along with his older brother Stephen and cousin Simon, Luke spends his days seeking adventures in the farm's fields, caves, and lake, doing anything to avoid the aura of death that fills the house. His adventures take an unexpected and harrowing turn when a tragedy occurs that shakes the very foundations of his family and changes Luke forever. In this austere and meditative story, a young man grows to face the truth about himself and his family. The hope he finds as his quest unfolds is quietly inspiring-and not to be dismissed. 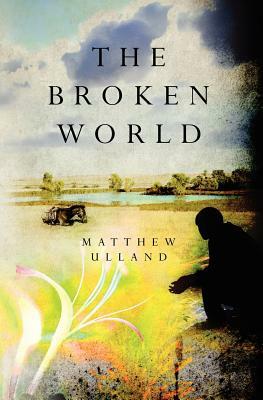 Richly evocative of the fleeting time in life when youth must be abandoned and a deeper knowledge mined, The Broken World asks the reader to examine life's most serious existential questions, while tempering the journey with grace and humor. Readers who seek out nuanced, finely spun novels will relish this thought-provoking tale of crisis and self-discovery. The story's sharply drawn characters and textured narrative will linger in the reader's mind long after the last page. This lean and compelling novel reveals a new and important writer at work on the American literature of tomorrow. Matthew Ulland has published essays and poems in numerous literary journals. He is the author of the novella, The Lights Must Never Go Out, and is currently at work on a young adult fantasy novel. The Broken World is his first novel. Matthew Ulland is a novelist, poet, and essayist whose work has been published in numerous literary journals. He worked in children's publishing for sixteen years, a career he left to concentrate on his writing full-time. He holds degrees in creative writing and English from The University of Texas, Washington University, and New England College. The Broken World is his first novel. He is the author of the novella, The Lights Must Never Go Out, and is currently at work on a young adult fantasy novel. He lives outside New York City in a house in the woods with his partner and their dogs.